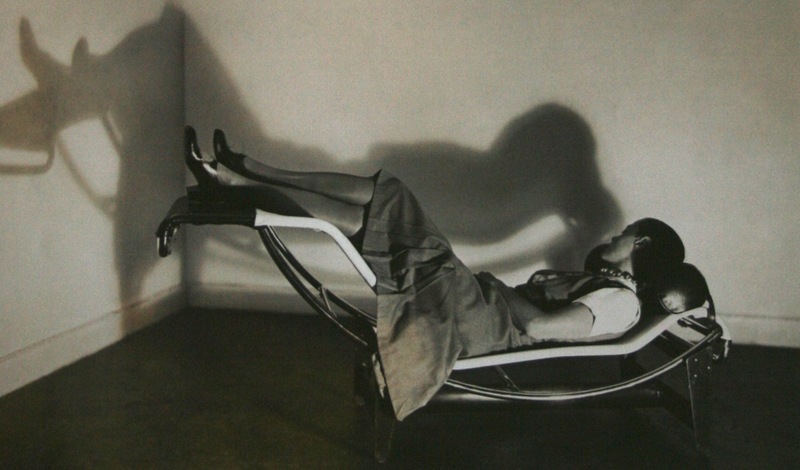 It is well-known that in 1927 Charlotte Perriand applied for a position at Le Corbusier’s studio and was rejected by Corb himself stating, “We don’t embroider cushions here.” By 1928, not only did she impress Corbusier enough to get the job, but she designed the historic LC4 Chaise Lounge for his atelier. It is also well-known that Reality Cues began its competition series with the historic Le Cor(nudie)r Collage Competition. In this respect, we thought it appropriate to kick off the next round of Reality Cues competitions by “looking for the woman” so to speak because behind every great male architect is a great female architect. Or in the case of Louis Khan: female architects. Use the above-provided image of Charlotte Perriand to make the most provocative image possible (larger image found here). JPEGs and animated GIFs accepted. Submissions will be judged based on relevance, creativity and execution. Please email your submissions to the Reality Cues Librarian (librarian@realitycues.com) in JPEG or GIF format, at least 900px wide. Include the title and text in the body along with your name as you would like it published. 1. No entrant shall receive or be entitled to receive any payment as a result of a submission or for granting the promoters any right here in or associated with the competition except an award pursuant to the rules herein. 5. By entering the Competition, any and all entrants, and where applicable, anyone they know or have ever met, agree in full to these Rules and Brief.